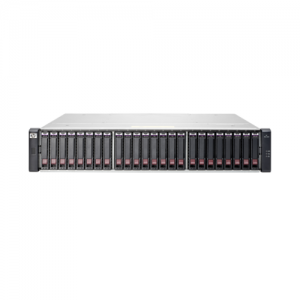 The 2U array houses up to twelve (12) 3.5 inch HP SmartDrive Carrier (Gen8 HP ProLiant) hot pluggable SAS and SATA drives. 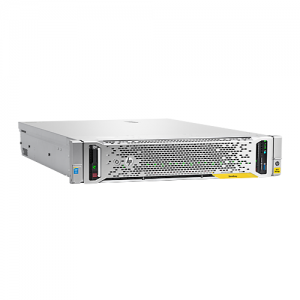 HP D3000 Enclosures 12 Gb SAS enables a higher/faster data transfer rate doubling the current transfer rate of 6 Gb solutions providing crucial bandwidth. The modular platform provides investment protection by allowing you to purchase based on your current need, and plan for the future without hidden management charges. 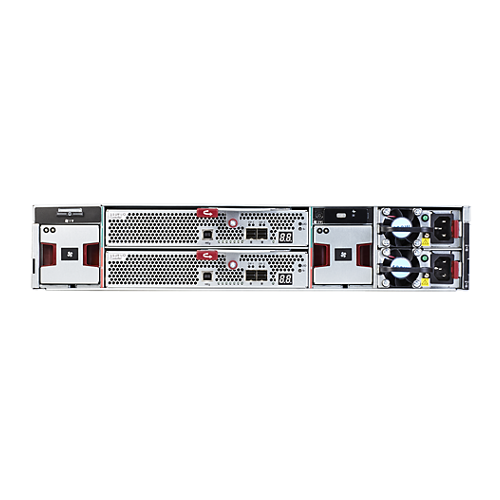 Increase your data speed with enterprise-class dual-port SAS drives as the need and budget dictates. 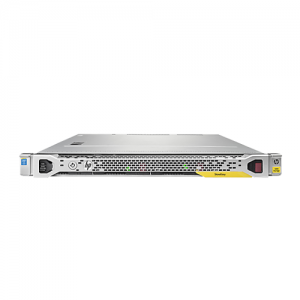 Provides a higher level of redundancy and reliability thereby reducing single points of failure within the storage network. The HP D3000 Enclosures give you the flexibility to mix and match SAS, SATA and Solid State drives in the same enclosure, and extend the benefit of tiered storage to direct attach customers. 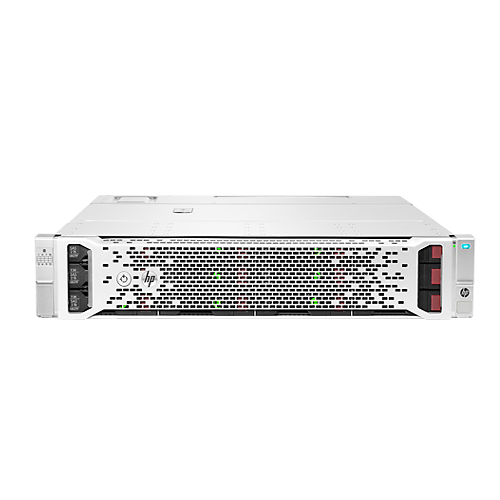 Designed to give you room to grow as your storage demands increase, the D3600 LFF can grow up to 96 drives. You can also add up to eight (8) D3600 large form factor (LFF) enclosures that can be connected together from a single controller port. 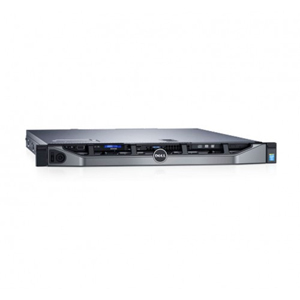 With the D3700 SFF you can add up to 200 drives or up to eight (8) small form factor (SFF) enclosures can be connected together from a single controller port. With a Gen8/9 Smart Array Controller you can mix D3600 and the D3700 enclosures for expansion, up to four (4) D3600 and four (4) D3700 (4xLFF and 4xSFF) allowing for expansion up to 148 drives. On the D3700 you can get solid state drive support for up to 25 drives per Smart Array Controller. 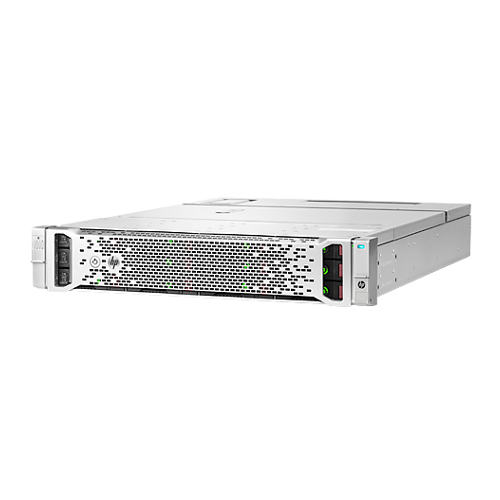 The HP D3000 Enclosures support the HP SmartDrive Carrier, (Gen8 ProLiant Drives), enabling a single set of common drives for Gen8/9 ProLiant servers and D3000 Enclosures. The HP D3000 Enclosures uses familiar HP ProLiant management tools including HP Systems Insight Manager and the HP Array Configuration Utility (ACU) software. The HP D3000 Enclosures are compatible with selected HP Smart Array SAS Controllers and HBAs. Little IT expertise required to manage the enclosures. HP StoreVirtual VSA Software: With HP StoreVirtual VSA you can use the power of virtualization to create a virtual array within your host server. Manage it as a single pool of shared storage capacity, and scale it to match your evolving needs.